"One of the most important determinants of healthcare quality and efficiency is the quality of clinical decision making. The most underutilized resource within this process, however, is almost certainly the patient. The patient is the undisputed expert on his or her symptoms and how they are evolving." 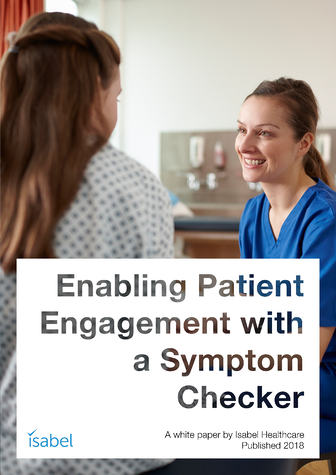 Fill out the form to get your copy of "Enabling Patient Engagement with a Symptom Checker"